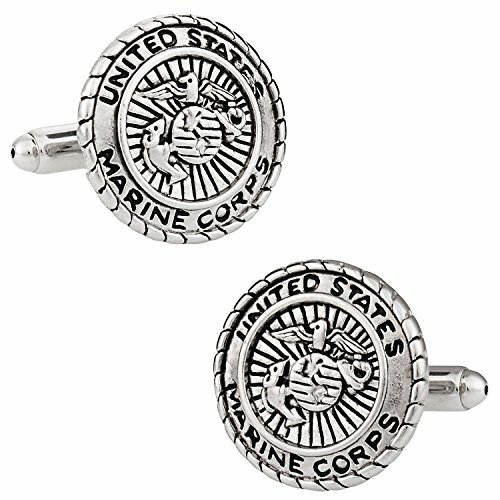 Our U.S. Marine Corps Cuff Link Set showcases a classic thick round style and includes the traditional Marine Corps logo as the signature feature. It is made of premium jeweler's metal, is available in gold or nickel plating, is 3-side polished by hand and finished with a bullet T-bar swivel fastener. This set is encapsulated in a clear and durable plastic case, and wrapped in a velour pouch for a perfect presentation. This is a sophisticated jewelry piece. Impress your special veteran or active duty American Marine with this special gift that can be suited on any special occasion. Makes a perfect Christmas or birthday present! About The Product: Delight the man in your life with this unique novelty cufflink set. Made of plated metal with the resin-topped design as shown. ⁣⁣About The Design: Those with a fighting spirit overcome all obstacles and emerge as Marines. Show USMC pride with this striking black and white logo. An officially licensed product of the United States Marine Corps. The few, the proud, the Marines. Need I say more? This branch is among the toughest of our military and we thank you for all you do for us. You are typically the first in to battle and are beyond courageous. Show off your pride with these antiqued cufflinks silver-tone. These like all of our cufflinks arrive in a gift box. We carry these in goldtone too. 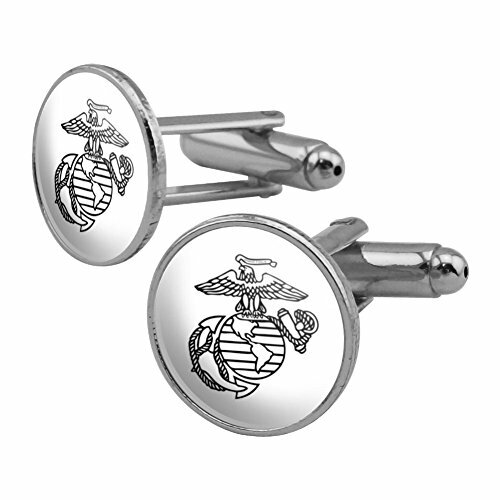 PD-USMC-GL Features: -US Marine Corps cufflinks. -Enamel finish. -Nickel plated setting. -Bullet backing for easy application. About The Product: Delight the man in your life with this unique novelty cufflink set. Made of plated metal with the resin-topped design as shown. ⁣⁣About The Design: No matter the obstacle or the enemy, Marines engage with the determination to win. Show your USMC support and pride with this stately black and white Eagle, Globe and Anchor logo. An officially licensed product of the United States Marine Corps. About The Product: Delight the man in your life with this unique novelty cufflink set. Made of plated metal with the resin-topped design as shown. ⁣⁣About The Design: When victory is the only option, Marines fight for our freedom. 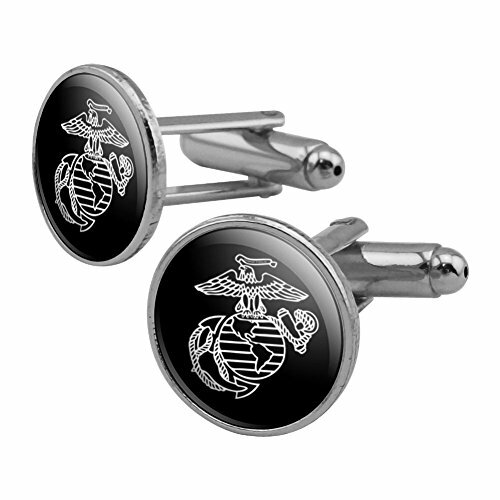 Show your United States Marine Corps pride with the black, red and yellow emblem. 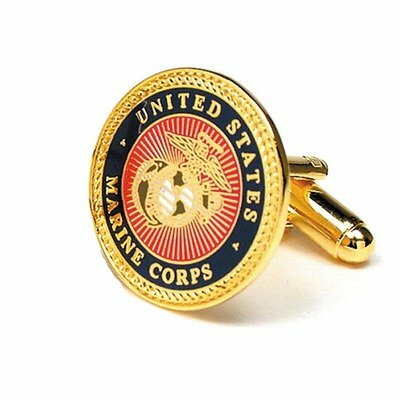 An officially licensed product of the United States Marine Corps. About The Product: Delight the man in your life with this unique novelty cufflink set. Made of plated metal with the resin-topped design as shown. ⁣⁣About The Design: Marines look out for each other and our nation. Show USMC pride with this black and white Eagle, Globe and Anchor. An officially licensed product of the United States Marine Corps. United States Marine Corps (USMC) cuff links officer anodized. 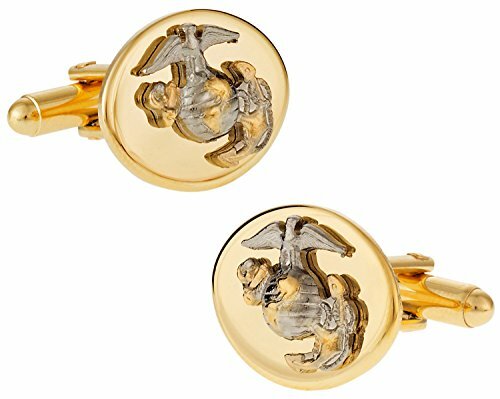 Gold & Silver Eagle, Globe & Anchor Cufflinks for Officer Dress uniform. These cufflinks arrive in a handsome gift box like all of our designs. About The Product: Delight the man in your life with this unique novelty cufflink set! Includes a set of two cufflinks with the resin-topped design as shown. The cufflinks are made from plated metal. 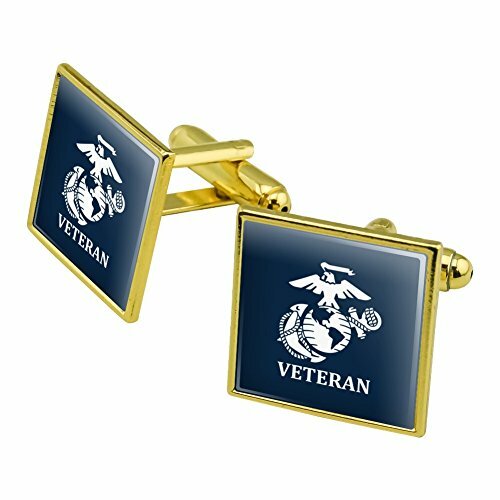 Each cufflink is approximately 1.0" (25mm) x 1.0" (25mm) x 1.0" (25mm) in size.About The Design: Show your Marine Corps pride with this white on blue Veteran emblem. An officially licensed product of the United States Marine Corps. About The Product: Delight the man in your life with this unique novelty cufflink set. Made of plated metal with the resin-topped design as shown. ⁣⁣About The Design: No matter the battle, Marines are ready to defend our nation against any enemy. Show your USMC pride with this golden Eagle, Globe and Anchor emblem on a blue background. An officially licensed product of the United States Marine Corps. 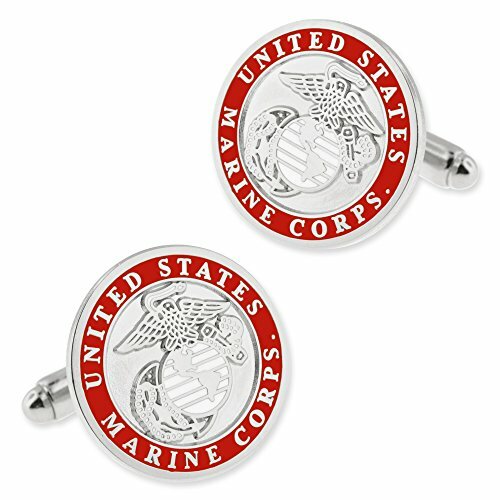 Compare prices on Cuff Links Usmc at ShoppinGent.com – use promo codes and coupons for best offers and deals. Start smart buying with ShoppinGent.com right now and choose your golden price on every purchase.